Why does Facebook provide the service it does, free of charge to anyone with access to the internet? When it comes to making money as a service provider or retailer, whether through a bricks and mortar or an online business, it is vital to have deep insights into your customers including who they are and who they’re going to be in future. One of the only ways to determine these facts is through data. Data allows retailers to identify trends, make predictions, and adjust prices and offerings in line with changing customer expectations. All of this is how in a very competitive environment, retailers gain their edge. But who exactly delivers the data and how is it measured and analysed? 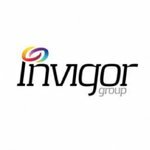 Well, that comes down to companies such as Invigor (ASX: IVO), a big data, information technology and digital solutions provider that helps turn customer insights into revenue by providing comprehensive end-to-end business solutions. IVO makes data actionable and links it to business outcomes. The $7.4 million capped, revenue generating IVO has come along at the right time with a data analytics platform and range of data solutions (including its Insights Visitor, Insights Retail, SpotLite, and Condat AG platforms) that Australian retailers, along with international technology service providers can draw on as they prepare to meet competition such as Amazon head on. It should be noted here that IVO is a speculative technology play and investors should therefore seek professional financial advice before making an investment decision. 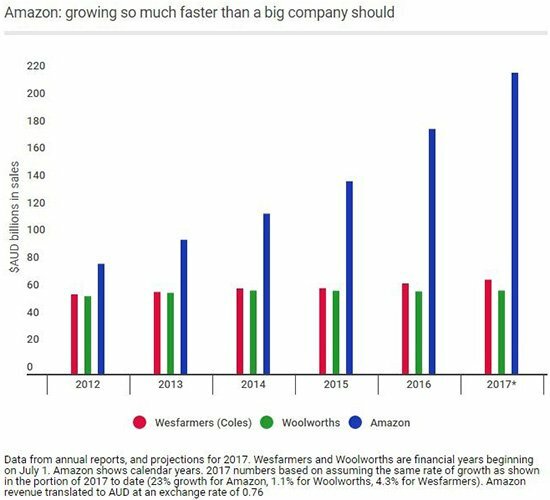 The news of the upcoming arrival has left retailers shaking in their boots, especially if you take into account the fact Amazon is bigger than any currently existing Australian retailer . The move has prompted Gerry Harvey of retail giant Harvey Norman to wage war . Yet, looking at why the likes of Amazon, Facebook and even Google are so successful, it is because they are all kings in the big data world. Their ability to innovate has a lot to do with their data teams’ capacity to get data and interpret it to predict future wants and needs of its customer base. Australian retailers must follow suit. The Australian retailers who don’t leverage the data at their fingertips will face an uphill battle against the likes of Amazon and other large international retailers who are moving in on Australian territory. IVO can help balance the scales. In the past 12 months, the company has invested heavily in product development and technology to lead the way in analytics and engagement. As such, clients are taking notice with IVO securing new and existing contracts with the likes of the Good Guys, Moet Hennessy and Treasury Wines to the tune of $3.7 million. So that sets the scene for the excellent timing of IVO’s latest news. Last week, IVO announced its acquisition of the ASX-listed Sprooki Pte Limited, a Singapore based group offering location-based mobile engagement platforms for retailers, brands and shopping malls. The transaction is set to position IVO as a leader in data-driven solutions for retailers, combining the capabilities of both companies. IVO’s solutions now cover an even broader range of data solutions and access to markets in Asia. The acquisition will enable IVO to offer a bigger and more integrated suite of big data products across Europe, Australia and Asia. On top of all that, the deal with Sprooki will see the appointment of former Westpac and Commonwealth Bank CIO Bob McKinnon become the chairman of IVO. That is not the only major news to come out of the company in the last week, though. The small cap also announced it had secured a $1 million strategic investment from the highly regarded Allectus Capital Limited (formerly Vix Investments Ltd) – an established value investor which manages ~A$400M mostly across Asia Pacific and the UK. Getting a cornerstone investor like this one board is a big coup for this smart $7.4M tech play. All of this latest news falls into place with IVO’s key commitment to help Australian retailers combat the imminent entry of the likes of Amazon and other international giants looking to grab market share. In turn IVO could gain a strong foothold as a leader in data-centric solutions both in Australia and an on international level. Data allows retailers to identify trends, make predictions, and adjust prices and offerings in line with changing customer expectations. It is the way of the world now: customers don’t just go to a store anymore and buy a product without being influenced. Data is how in a very competitive environment, retailers gain an edge. But each time that edge occurs, it needs to be replaced with new insights from new data. Hence the big winners in the big data space are those who can collect and analyse the data businesses so badly need and do so in real time. 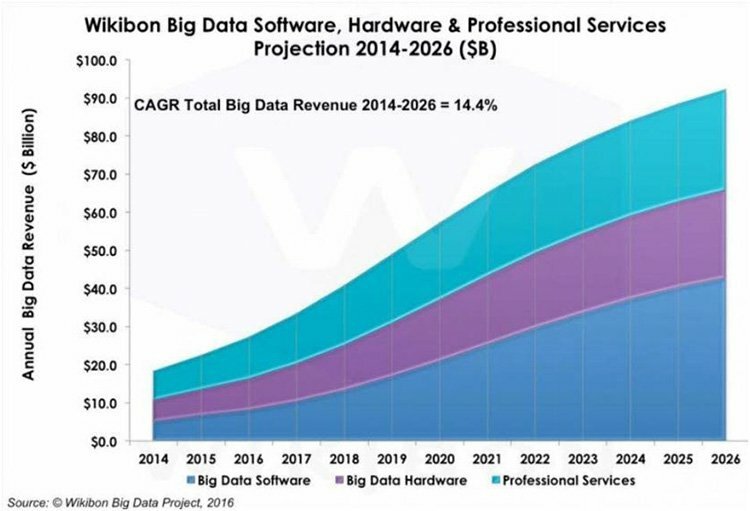 In essence, the industry is set to be worth almost $100 billion by 2026, so it’s definitely the right time to be offering data analytics solutions. It is particularly relevant as small to medium enterprises battle against larger corporations such as the previously aforementioned Amazon who are looking to dominate a range of retail spaces. Enter IVO, which over the past year has streamlined its cost base and grown group revenues to $8.5 million in FY16, up 58% on the previous year . In these articles, we looked at the overall data scene, IVO’s products and services and how the company is making money through client and contract acquisitions. IVO has signed several revenue generating contracts, launched new products and delivered data solutions to large organisations across retail (signed the Good Guys to a three-year deal), alcohol (signed up Treasury Wines) media (ZDF contract with Germany’s largest television station) and a raft of industries that require data services. 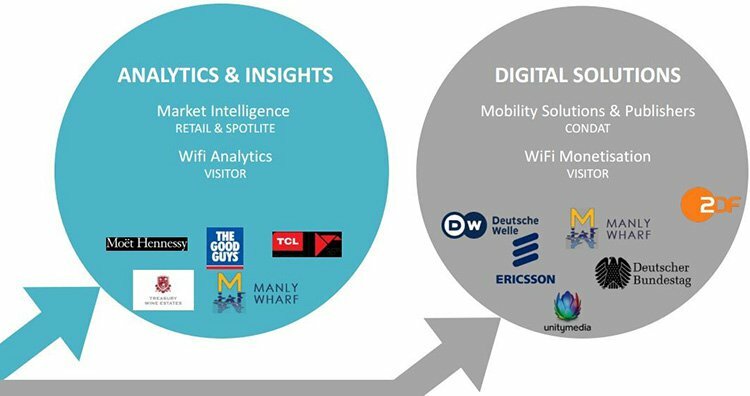 Add, Condat to the list, which last year had $900,000 worth of new contracts signed , including its first major contract outside Germany with Ericsson, UK and you have a strong product offering. Although there is no guarantees that there will continue to be substantial sales growth, so don’t base your investment decision on this fact alone – apply caution to your decision and do your own research. 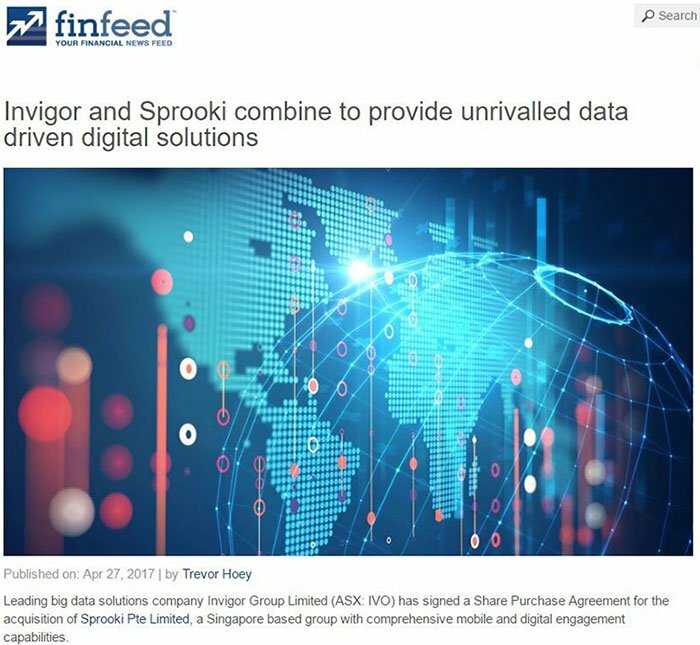 The big news lately is IVO’s all scrip Share Purchase Agreement for the acquisition of Sprooki Pte Limited , a Singapore based group with comprehensive mobile and digital engagement capabilities. The transaction with Sprooki could add over $5 million in additional revenue in FY2018 – that’s not including further revenue gained via streamlining and synergising the operations of the two companies. The Sprooki transaction could be a game changing development for IVO. One that will position it as a leading provider of data centric solutions to retailers as the sector continues to invest in transformation in order to grow profitably and remain competitive against new entrants such as Amazon. With the imminent arrival of Amazon to Australian shores, there has been a surge of interest in data-driven digital solutions to address loyalty, pricing and shopper behaviour. Through the Sprooki acquisition, IVO will now have the necessary range of solutions to provide the antidote that enterprise and SME customers need to compete more effectively in an increasingly competitive retail environment. The retail environment now includes Amazon, which some believe is growing much faster than it should. The acquisition will also improve IVO’s revenue model by broadening revenues through recurring performance and transaction fees based on customer usage and sales transactions via the platform. There is another advantage to the Sprooki acquisition: the people it brings with it. Sprooki co-founder Claire Mula will join the IVO Board and become COO while co-founder Michael Gethen will be based in Singapore and provide a very handy ‘in’ for the Asian market. And while on the topic of management, not only will former Westpac and CBA CIO Bob McKinnon be joining as Chairman, former GM of retail relations for Westfield operator Scentre Group Jack Hanrahan is joining as an independent director. With that kind of expertise all on the one team, it’s looking to be a formidable ally for Enterprise and SME retailers attempting to defend themselves against losing their market share to the likes of Amazon. But it’s not just about fear – predictive and prescriptive data analytics is something to be embraced by any retailer looking for a competitive edge, and IVO are keenly aware of this. We live in a time where technology makes this not just a pipedream, but a very possible outcome. It’s not just about levelling the playing field, but upping the ante in a way that’s valuable to all involved. With two like-minded companies joining forces – both offering products and leadership in the same field, and targeting similar markets – the opportunities should double, too. Any growth in opportunities is speculative at this stage, so investors should seek professional financial advice if considering this stock for their portfolio. It’s certainly good news when an experienced technology investor joins the register of a sub-$10M market cap tech play currently in the process of winning its place at the table. 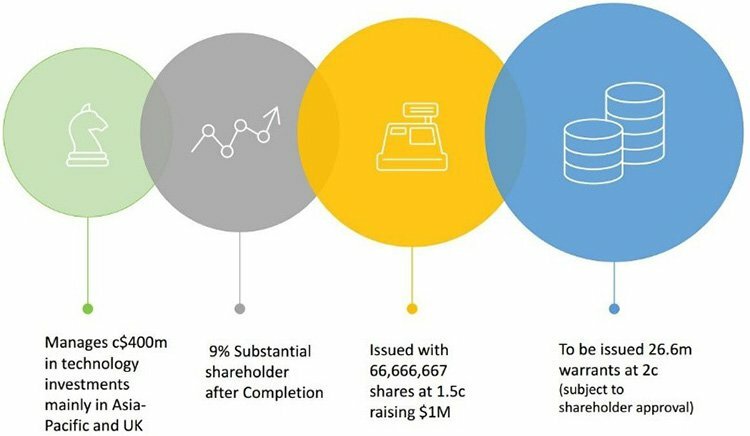 That’s what Allectus Capital has chosen to do with IVO, thus becoming a 12.5% shareholder through a placement of ~66.7M fully paid ordinary shares issued at $0.015 per share and ~26.7M warrants at $0.02. When all is said and done with the acquisition and the placement, Allectus will be set to own ~9%, with shareholder approval of the acquisition set for mid-June. Allectus manages around A$400M in long-term, strategic tech investments across the Asia Pacific and the UK, so IVO will be in good company being a part of its portfolio of tech disruptors (listed and unlisted). Most importantly, though, the placement will fund growth of the new Sprooki-incorporated IVO and the value it can now add to its product offerings – making the most of its impressive IP and proprietary technology. Let’s stop here and take a brief detour to look at the clients who’ve already signed up to IVO. Already cosied up with this tech play are several big brands. Just this month, the company announced it had secured a further three year contract extension providing its Insights Retail platform to liquor company Moet Hennessy Australia. Around the same time, the company also announced a partnership with Val Morgan as part of its joint venture at Manly Wharf in Sydney – to install and commercialise digital media advertising assets at the popular wharf. That contract is utilising IVO’s Insights Visitors platform together with Sprooki. A third major development was announced around the same time – IVO’s contract with Treasury Wine Estates to deploy IVO’s Insights Retail platform for its alcohol beverage range which has recently been renewed. We’re willing to assume you’re familiar with brands such as Epson, Moet Hennessy and Treasury Wine Estates... they’re huge names already, and there are a host of other well-known brands also in the pipeline that are choosing to team up with IVO for their data analytics solutions. As shown above, all three parts of the wheel are equally important. It’s not just about getting the data, it’s knowing how to use it. And IVO does, with this specialised knowledge implemented throughout its various products: Insights Visitor, Insights Retail, SpotLite and Condat AG. It’s a fairly simple equation, at the end of the day. Brands and retailers need to first find out, and then understand, what shoppers are doing... which – with the right technology – should lead to a greater ability to predict future purchasing behaviour. Singapore has long been a shopaholic’s mecca... a company like Sprooki which has proven itself in such an environment clearly knows a thing or two about customers. Together, a strengthened IVO with the acquisition of Sprooki could result in a company which provides unrivalled solutions for retailers looking for an edge over Big Data Daddies like Amazon. IVO reported holding $117,000 cash at 31 March, 2016 together with undrawn finance facilities – and during April has announced a $1 million cash placement to Allectus Capital. A$2 million funding has been secured with US based tech investor Partners for Growth, a group specialising in giving loans to budding companies in technology and health care. Under the agreement, the funding will be for two years at an interest rate of 10%. In addition, IVO stated it will issue 66.6 million options to the firm (exercisable at 3.0 cents expiring in 2021). The company also received a further $2.53 million of funding towards Convertible Notes, with $1.2 million taken up by RJL Investments Pty Ltd – a company associated with IVO’s Chairman, Gary Cohen. 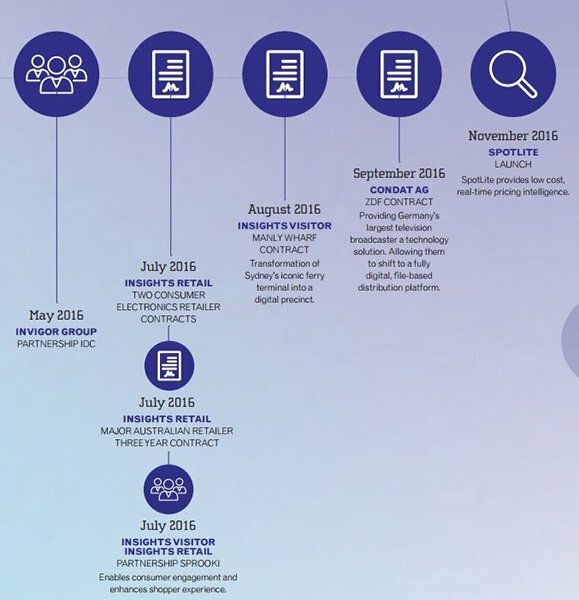 The Convertible Notes are likely to be in the money following the Sprooki deal and therefore will likely convert when due. Having a strengthened balance sheet is key for any small-cap breaking through the ‘start-up’ category into the realm of established major player. The investment by Allectus Capital goes a long way to underpinning the Balance Sheet as well as bringing a major Institutional Investor that focuses on disruptive technology companies onto the IVO register. But even more important are indicators of long-term profitability which can be put down to IP, strategic product offerings, best-in-class technology and excellent management. The main driver of success for IVO will be its solid range of products still waiting to be properly discovered for their true value. In fact, it is likely there will be markets in the near future who will be desperate for the solutions it is already offering. Amazon’s upcoming entry into the Australian market is likely to put an abrupt end to businesses being able to ignore the competition that is inevitably coming. Increasingly the reality is that not engaging with data solutions, and still trying to compete against enormous online retailers with a mind-boggling capacity to analyse customer behaviour, will be a very fast way to fall behind. And that’s why IVO are fielding a lot of interest from more major brands and potential clients already. There’s no doubt that these products are needed, and will become even more essential for all businesses in future.